Make a twelve-page comic in twelve hours! 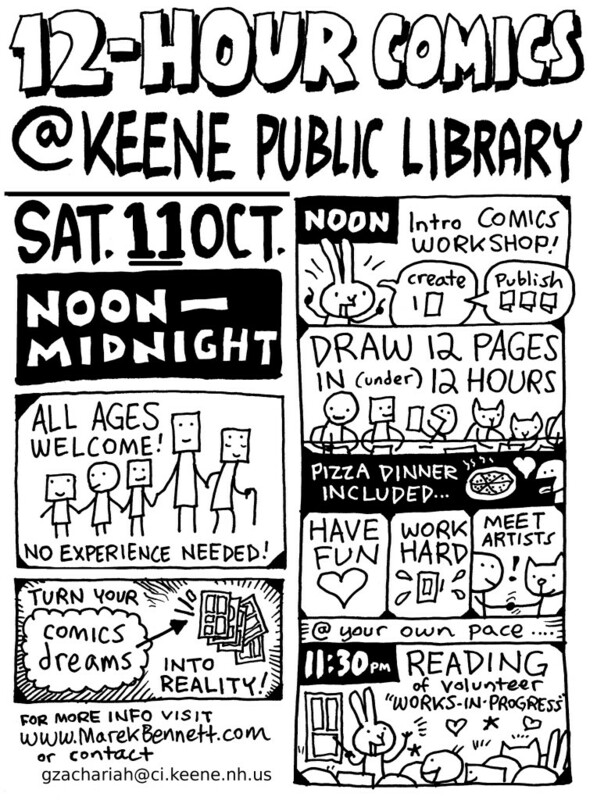 We’ll begin [...] at noon with a brief COMICS WORKSHOP crash-course in comics creation and self-publishing from N.H. cartoonist Marek Bennett. Then we’ll dive in and draw for the next half-day, pausing for a pizza party dinner and a reading of our work as midnight approaches. Whether you bring an existing art project or start a completely new one, the time limit and group dynamics will help you find, nurture, and grow that sweet spot of inspiration, improvisation, and concentration.